I didn't reach my goal of 150 books this year, only getting to 145. As my husband says, too much time spent playing solitaire on my iPad. I definitely am changing that for the new year. However I've also been spending more time doing crafts such as needlework, so that has been taking some time as well. I've had better years in terms of books read, and have been on a downward trend the last few years. Hopefully we'll go up again in 2018. I completed this challenge successfully. 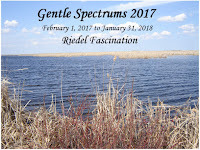 This challenge ran from February 1, 2017 to January 31, 2018, but since I do it every year, I stop at the end of December. 1. The White Princess by Philippa Gregory. Finished March 27. This part has ten subject categories to match to book titles. Some will also allow content matches. Historic people, content, places, symbols, and books set in 1967 or earlier. Food and drink, and words typically used to describe them like sweet or sour. Titles do not need to match this category. Canadian authors and features do. A brief Canadian setting does not count. I didn't use all my Canadian books, but chose a few. Musical terms. Also books about music or musicians, or by musicians. 7. Is the Third a Charm? Titles associated with "three". A third volume, or your third book by an author. Include a comment as to whether the author is more appealing or less at this third book. Well, I did far less European countries than I have in the past. Only the five necessary to complete this challenge. 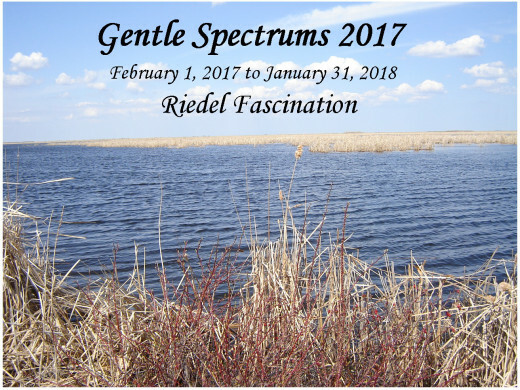 Hosted by Rose City Reader, this challenge is one I like to do every year. It gets me reading books from or set in other countries and fulfills part of my love of travel in a vicarious way. Here is the link for the challenge. 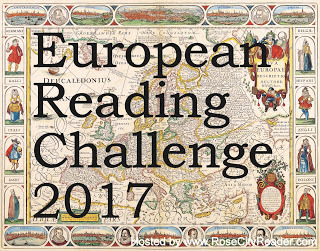 I will be doing the Five Star challenge again, which requires me to read books from 5 European countries. The challenge host has the details for the challenge requirements. Here is the link to my sign-up for it. 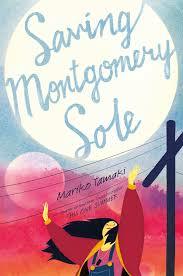 This young adult novel has 16-year-old Montgomery Sole at the center. Monty, as she is known to her friends, lives in a small town in coastal California with her two moms, Jo and Kate and her little sister Tesla. Coming from Canada, Monty feels like a misfit in her school, that is until Thomas arrived. Thomas is a year older and a grade above her, but also a bit of a misfit. He is gay, and a thinker and drama enthusiast. The two formed a Mystery Club, which is not about mystery books, but about discussing things they don't understand, or that are mysterious. When new girl Naoki, also part Canadian arrives, she migrates to their group for all the right reasons and as the book opens, the three are fast friends. There is the usual bullying behaviour by some of the cool guys and gals at school, led by Matt, for the guys, and Madison for the gals. Monty has a bit of a history with Matt, and the betrayal by him makes his actions more personal for her. When another new kid arrives, and Monty finds that his father is the infamous Reverend White, who preaches against the sins of homosexuality, she immediately takes against him. Monty sees an ad on the internet for something called the Eye of Know and, since it is cheap, decides to order it. When it comes, it isn't what she expected, and she isn't really sure how to use it, but when she tries, it seems to have violent effects. This is a story of friendship, of families, of the power of belief, and of things and people not always being what they seem. 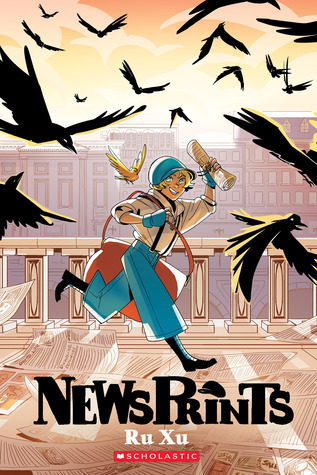 This teen graphic novel features a girl, Lavender Blue, who dresses as a boy to work as a newsboy and live at the newspaper's orphanage run by the mayor of Nautilene and his wife. The country they live in, Goswing, is in the tenth year of war against Grimmaea, and many men are away at war. Many others will never return. As the book begins, Blue is running from a rival group of new deliverers, having trespassed on their turf. She gets away by climbing a fire escape and getting into an abandoned industrial building. There she meets a man who goes by the name of Jack and who seems to be a no-very-successful inventor working on some sort of device to attract birds. She becomes his apprentice, running errands and helping out wherever she can. On a trip to the shipyards where he plans to meet the admiral in charge, Blue meets the admiral's daughter who has been working as a secretary, and also finds a boy who seems to be living on the edge, a boy who calls himself Crow. As Blue and Crow become friends, and she gradually gains his trust, she increasingly finds herself wanting to be her true self, and reveal her female identity. This is an interesting story of sexual bias, set in a wartime situation. A story of having the freedom to be who one truly is, without having to hide parts of that, or do what others believe is right for us. I loved this collection of short stories. Some of the characters appear in more than one story, which is nice. I liked the range of stories here as well. There are stories showing compassion for others, compassion for oneself, and struggles with mental illness. There are stories of illness and of menace, stories of celebration and of worry. The author gets inside her characters heads in a meaningful way, showing us thought processes, struggles for what to do next in their lives. Their are stories of friendships, of marriages breaking down, of lives starting anew. I enjoyed all of them. Dickinson is a wonderful writer. A mystery set in a small town in Newfoundland, this novel features the main character of Lauren LaVallee, a lawyer who also teaches at the local college. Lauren is a single mom of a 4 year-old daughter, Bailey, having left Bailey's father when she became pregnant, knowing that a child didn't fit into his plans. The college is widely known for its drama program, and attracts talent from outside the province. Lauren is friends with many of the other professors. One of them is Emma, head of the English department. Emma is also a single mom, with a daughter, Dylan, the same age as Bailey. Both women teach a young woman Jade, who seems to be struggling as a single mom. She hasn't been coming to class or meeting deadlines. They go together to have a talk with Jade. Jade's apartment seems a bit of a mess, but her daughter Cara seems well cared-for, and the two women offer support, but Jade seems too worried about her finances to pay attention. Lauren is reminded of another friend of hers, Claire, who has recently had a baby, Ariel. 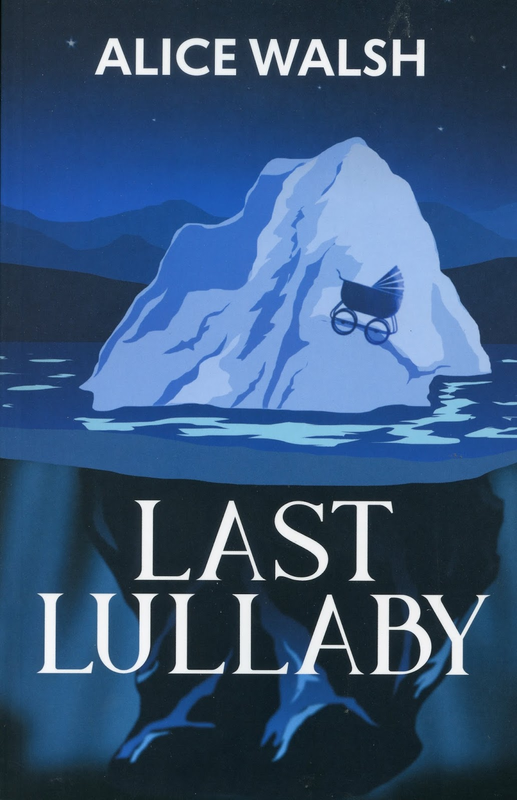 Claire has been struggling with postpartum depression, and has delayed her return to work at the college, where she teaches in the drama department. Claire's husband Bram is a local doctor and busy with his practice. Claire's doctor Anya has been helpful, but Claire is still struggling. Lauren makes plans to go see Claire soon. I liked the characters in the book. There is depth to them. Lauren has some things in her past she isn't proud of, and we gradually find that she isn't the only one with secrets. Because it is a small town, people connect with each other in more than one way. A local police officer, Rebecca, is also a student in Lauren's legal class at college, and has a child in the same daycare as Bailey. A young man, Patrick, is doing a coop at the daycare, but also sometimes babysits for parents like Jade and Claire. He's nearly finished college and plans to start his own daycare. Two other college teachers, life partners, have just adopted a baby girl, but seem reluctant to have visitors or to bring the baby out for a baby shower. One of them also seems very friendly with Patrick. When Claire wakes up one afternoon and discovers young Ariel dead, and the death seems to be homicide, Lauren takes the case, and believing in Claire's innocence, looks beyond the obvious, to the possible. This was a very interesting mystery, and, while I guessed at some things, I didn't figure out others until the end. 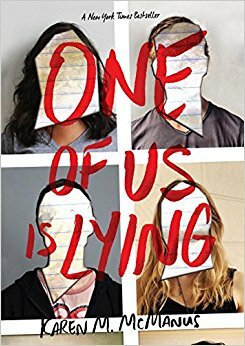 This teen novel begins with five high school students held for detention for having their phones in class. The odd thing is that all of them had the phones planted on them. Their own phones were in their lockers as they were supposed to be. When one of them collapses after drinking a glass of water, showing the symptoms of anaphylactic shock, the rest react in different ways. Some remain calm and some panic, not knowing what to do. The young man, Simon, dies as a result of the situation and many odd circumstances lead to a murder inquiry. Simon had many enemies, mostly from his writing and publishing an online and print gossip newsletter. The history of the newsletter is that most of the gossip turns out to be true. There have been rumours that he was about to publish revealing stories about each of the four students in detention with him. And how is it that all of the Epi-Pens in the school nurse's office are missing? As we get to know the four students, we find that they are all hiding something. Bronwyn is an A student, with plans to follow in her parents' footsteps with a Yale education. She is very close to her younger sister, who has had health issues. Her drive to please her parents is strong, but would she compromise herself to succeed? Addy is a popular girl, a winner of beauty pageants, and girlfriend of one of the most popular boys in school. Addy's mother is divorced and struggling to keep her much younger boyfriend. 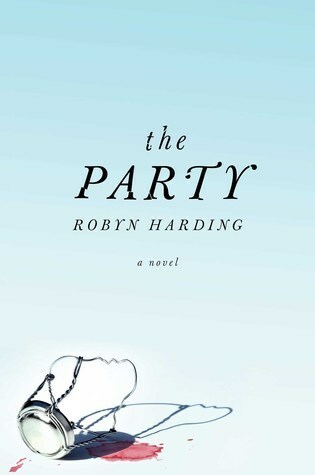 Her older sister's marriage is having issues, and Addy sometimes feels her life is not her own due to her controlling boyfriend. Does she ever rebel against this control? Cooper is a star baseball player, whose game has improved significantly lately. There is lots of interest from scouts, and he is at a critical moment that will determine his future. What would he sacrifice to ensure that future? Nate is a young offender. His father is a barely functioning alcoholic and his mother isn't in the picture. Nate must find money to keep his home and stay out of trouble with the law under his probation. But someone needs to pay for necessities and how can Nate do that? Lots of motives, lots of secrets, lots of lies and misleading clues. A story that will keep you guessing. 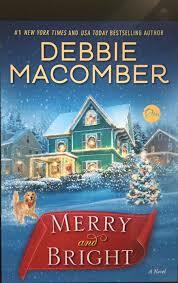 This light romance set around Christmas follows other similar books by the author. Here we have college student Merry Knight who has taken a year off college to work for the money she needs to continue. She is working for a consulting company, Matterson Consulting, primarily on a big project that are working on for Boeing. This is an important project and its success could lead to more work with the company. She is nearly done her contract, which goes until the end of the year. Merry lives at home with her parents and her younger brother Patrick, who has Down's syndrome. She has a good relationship with all her family, and her mom and Patrick decide to sign her up for a online dating site. They know that what's inside is what is important, so to fend off men attracted by her beauty, they use a picture of the family dog, a golden named Bogie. Jayson Bright has had a difficult life up to now. Not in the financial sense, he has plenty of money, but in the caring and emotional sense. His parents divorced when he was young and took little interest in him. He is close to his cousin Cooper, and a visit from this cousin makes him realize he has been pouring all his time and energy into the project at his uncle's consulting firm, knowing that if he is successful, this will seal the deal for him to take over the company as his uncle retires. When he looks on the dating site his cousin used, he is surprised to see a local woman whose picture is a dog. It reminds him of his childhood dog Rocky, and on impulse he puts up a profile using Rocky's picture. Jayson's worry over the project and driving energy have led him to be brusque in the office and he's had a couple of run-ins lately with a young woman in the data office. Of course she hasn't taken well to his attitude, but is a dedicated worker. And thus the stage is set for a online romance between two people who know each superficially, but not really. This book begins with the author discovering a single apple tree near an abandoned cabin. The apple she eats is delicious and she manages to identify it as a White Winter Pearmain. This leads her to research the history of apple orchards on our continent. The book has five chapters. The first is titled the Indian Orchard, and Humphreys shows how native settlements often had orchards as an integral part of their settled communities. She finds traces of these through place names, histories, and folklore. The second chapter titled Ann Jessop looks at an historical figure in the United States and her work to bring apple varieties from Europe to North America. Humphreys traces the apples she grew, and the places they were grown. The third chapter looks at the enormous project of the USDA Watercolour Artists as they were hired to record, through detailed painting the apples found across the continent. The book also contains colour plates of these paintings. Humphreys looks at several of the artists who did this work, and gives a picture of the breadth of the project and the type of people working on it. The fourth chapter looks at Robert Frost and his ties throughout his life to apples and the orchards they grow in. 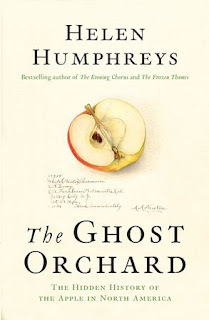 From owning several orchards, both commercial and personal, to friendships formed around these landscapes, and the poems that he wrote that referenced them, Humphreys shows how the apple orchard was a key element of Frost's life. 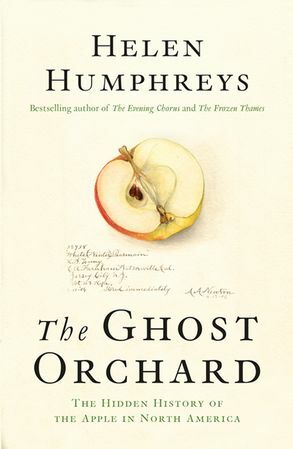 The last chapter is The Ghost Orchard, where Humphreys looks for traces of historical orchards that no longer exist, detailing her search for several of them. The book also includes a fictional, imagined discovery of the apple that started this book, and a glossary of all the apples that once existed in North America, but are no lost to us. 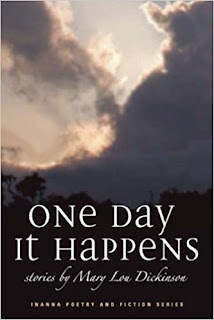 This book takes inside a family faced with a crisis. Jeff and Kim and their two teenage children live in a upscale San Francisco neighborhood. Jeff is a tech executive and Kim has been slowly getting back into the PR career she stepped away from when they had children. Their oldest child Hannah is turning sixteen, and they've given her permission to have a few friends over to celebrate. When things go horribly wrong and one of the girls is badly injured, we begin to learn what's under the perfect facade that others see. From Jeff's flirtation with microdosing to Kim's flirtation with another man, the relationship between these two parents isn't as good as it seems. And Hannah is facing social choices at school as she tries to be accepted by the more popular crowd. Everyone has secrets, secrets that are only gradually revealed as the facade unravels. An interesting look at moral lapses, betrayals small and large, and the negative effects of peer pressure. This delightful chapter book is due to be released in March 2018, plenty of time before camping season here in Canada kicks in. The characters in the book are young animals who've never been on a camping trip before. Their reactions to the suggestion of camping, and to the actual experience show their personalities across a range that young readers will be able to compare to their own friends and family. Suki, the squirrel is the one with the idea of going camping and her optimism, eagerness to try new experiences and spontaneity show in the suggestion and her subsequent actions. Bogs, the toad, is enticed by his anticipated role as entertainer, while Hedgewick the hedgehog is flattered to be chosen as camp chef. Rae, a young badger is assigned the role of engineer. 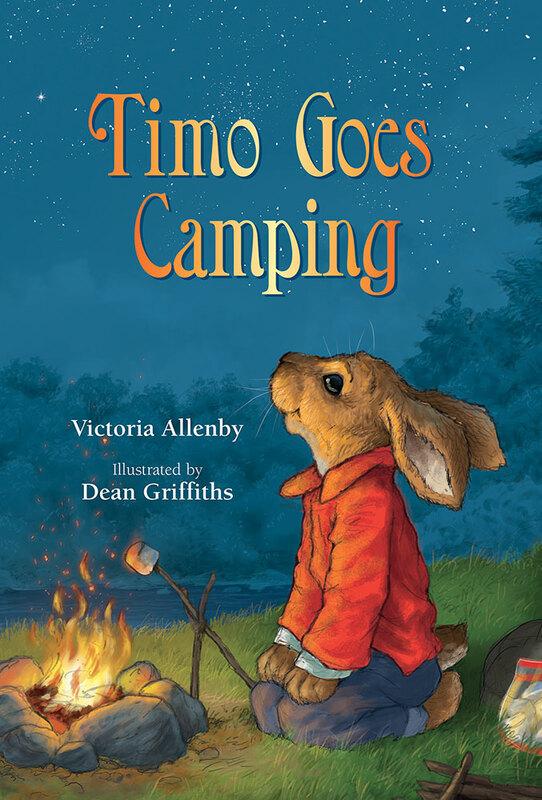 Time, the young rabbit was concerned about everyone's lack of camping experience, and tries to make a list to help, but doesn't know where to start. He's a smart young bunny, and goes to his local library to find the information he needs. Once he identifies a useful book, he makes notes on the different tasks associated with camping to ensure he remembers and understands. When the trip begins, Timo immediately finds his knowledge useful, helping tie the frying pan to Hedgewick's pack with the knots he learned about. As the trip progresses, Timo's knowledge continues to come in handy. There is much teasing from Suki about the mistakes made along the way, and even about Timo's book-learning until Timo gathers the courage to discuss how teasing can hurt people's feelings. I liked the opportunity taken for this discussion and the way it came up naturally through the plot. I liked the topic of a typical Canadian pastime such as camping. 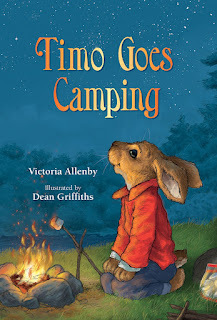 This is a good book for kids to introduce the idea of camping and some of the activities involved in such an adventure, the importance of not going into an adventure without some knowledge and preparation, and about ensuring that teasing doesn't become hurtful. The illustrations are lovely, bringing the animals to life, along with their environment. This historical novel takes us first to China, and then to Seattle in the early twentieth century. Both these are memories of Ernest Young's decades later, as one of his daughters, a reporter, digs into the past for stories on the upcoming world's fair of 1962. 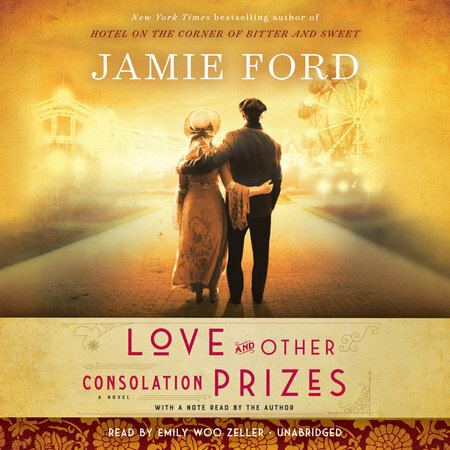 Ernest is living in a small apartment in Chinatown, with his ailing wife Grace living with his journalist daughter. She's been having memory issues, and outbursts, and it has been thought best to leave her there. Ernest remembers his last moments with his mother and what happened to his baby sister. It was then his journey to the west began. First there was a days long walk with other young Chinese children and youths. Then a voyage by ship. Ernest remembers the other passengers, the spartan quarters and and a few of the men on the ship that they interacted with. He was lucky to survive. The book then takes us to 1909, when Ernest has been a charitable case by a local female dogooder. When he finds enough courage to challenge her idea of his future, she changes her mind, and uses him as a fund-raising raffle prize. This throws him into a new world, one that is more freeing, but also limited. He is won by the madam of a high-class brothel, to the consternation of his dogooder. Other than the piano player, who lives elsewhere, Ernest is the only male in the house, and becomes an object of affection by the upstairs girls, and a companion to one of the servants near his own age, Fahn. He also connects with the madam's young daughter Maisie, and the three hang out together, explore portions of the town, and on one eventful evening go to the fair. As Ernest looks back at this time in his life, he recognizes that he loved both girls, for different reasons, and in different ways, but, in the end, could only commit to one. As the memories continue to come, and Ernest deals with the events of the present, Grace begins to improve and begins to share her own memories. Ernest has been trying to protect her, and the shared history that may not be what she really wants shared, but again, he finds that fate has taken things into her own hands. This is a fascinating story, based on a newspaper article the author came across of a baby being auctioned off at the fair. Ford looked at other real historical events such as the drive for suffrage and against alcohol and other vices, and used them to tie the story together. I loved it. This ghost story takes place in a Yorkshire town in 1952. Isabel Carey and her husband Philip have just moved there as Philip, a new doctor has joined the medical practice there. Isabel finds the rooms Philip rented stark and cold, and feels that the landlady, who lives upstairs, is watching her. 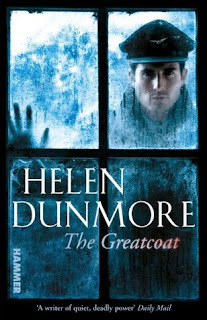 Looking for extra blankets to help with the cold nights, Isabel discovers an old army greatcoat in an upper cupboard, and puts in on the bed. One night she hears knocking and sees a man's face at the window, which frightens her, but she gradually finds that she gains awareness of the man's identity and begins to discover that she has memories that belong to someone else. As Isabel begins to interact with the man, Alec, she also becomes aware of who holds his ghost to this world, and why. This is a story of connection beyond life, of lives unfulfilled, and of the tragedy of war. This teen novel begins as an attack begins on New York City. The attack is by phantoms, creatures that take on all kinds of ghastly shapes and seem to have unearthly powers. Anywhere people live there is protection usually through some kind of electromagnetic field, and of course New York City is no exception. But there have been cases, where the protection suddenly fails and an attack begins unexpectedly, with many victims. The authorities don't understand why or how this happens. An organization called The Sect trains people to fight against these phantoms, and they have some success, but the real skill in fighting them is by a small group of young females called Effigies. Only four Effigies exist at any one time, and they usually take on their power in their teens and don't often live past their twenties. Maia and her twin sister June were huge fans of the Effigies, but there was a terrible accident and June and Maia's parents died in a fire. Maia now lives with her uncle Nathan, who works for the government in New York City. Maia is holding a secret. Just a day or two earlier, she had awakened in the night to feel a change coming over her. She is the newest Effigy, taking the place of the skilled and strong Natalya, a Russian woman with considerable power. Maia has no idea what to do as the attack begins, but feels that hiding with her classmates is not an option. She should be doing something. As she sees a young girl in peril, she goes to her aid, only to witness the arrival of another strong Effigy, Belle, to fight the phantom nearing them. Maia realizes she is no match for the foes she is up against, and can't bring herself to tell her uncle that he may lose the one family member that he has left. As Maia is identified by the authorities in her new role, and taken for training, she is also exposed to a mysterious young man named Saul, who seems to be the source of the attacks. 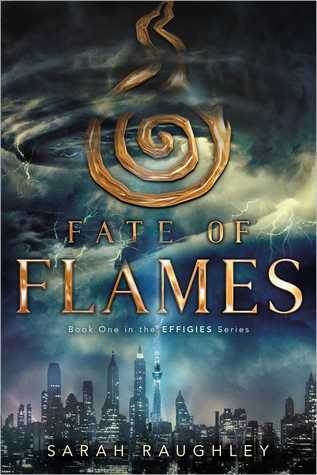 This is the first in a trilogy of books that introduces a new fantastical foe in our world. The strong female characters will appeal to female readers, and there is an element of romance present as well. An interesting premise. The book centers on neurosurgeon Beatrice Trovato. Beatrice's mother died given birth to her, along with her twin sister. She was raised by her brother Benjamin, who was 17 at the time. He did a fantastic job, and the two remained extremely close. Benjamin was an historian, but also a scientist, and he was researching the Black Death and why it took a greater toll on Siena than any other area in Italy. Beatrice was already planning to take some much needed vacation and visit him in Siena, when he died suddenly. She is determined to continue his research in honour of him. 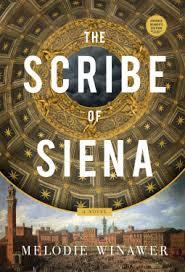 When she gets to Siena, she finds herself finding a place for herself there. When not buried in research, she explores the city and makes friends with a neighbouring family. When she comes across the diary of a painter who lived in the same time period as the outbreak of the Black Death, fresco artist Gabriele Accorsi, she is drawn to his words, and when she finds one of his paintings that contains an image of a woman with her own face, she is struck by the connection. As her immersion in the past becomes stronger, she finds herself suddenly transported to the Siena of 1347, and extremely grateful for the skills in language and history that she learned thanks to Benjamin. As she makes a place for herself in this foreign world, she continues her brother's research as best she can, meeting some of the players in the books she's been studying. Meeting Gabriele Accorsi himself is almost more than she can believe, and as she finds a real life connection with this strong-willed but gentle man, she also finds that her life and actions are not always within her control. For those who love time travel and romance, with a touch of intrigue, this book is a winner. Highly recommended for readers who loved The Outlander and Discovery of Witches. I could hardly put it down. Like Discovery of Witches, the author knows her history and uses real life historical characters and events to bring the story to life.